It seems that the spirit of exploration is part of what makes us human. If our predecessors weren’t curious about traveling to unknown places, where would we be now? We may have better tools to guide us now than centuries ago, and after speaking with Jessica Meir, an astronaut at NASA’s Johnson Space Center, it’s clear that we are still very much intrigued by new frontiers. 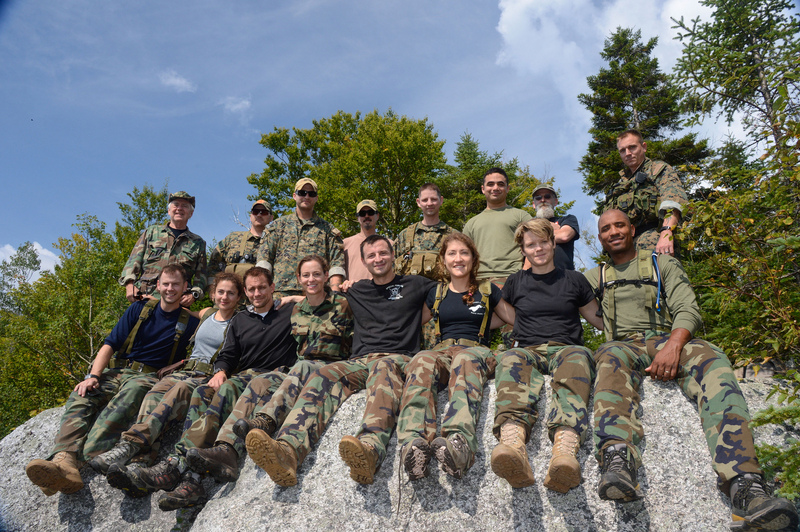 Jessica began exploring at an early age, growing up in northern Maine, with her parents and four older siblings; all great mentors throughout her impressive career. Caribou provided an ideal place to connect with nature, and an unobstructed view of the night sky. Jessica vividly remembers her teacher assigning her first grade class to draw a picture of what they wanted to be when they grew up. Jessica drew herself as an astronaut. 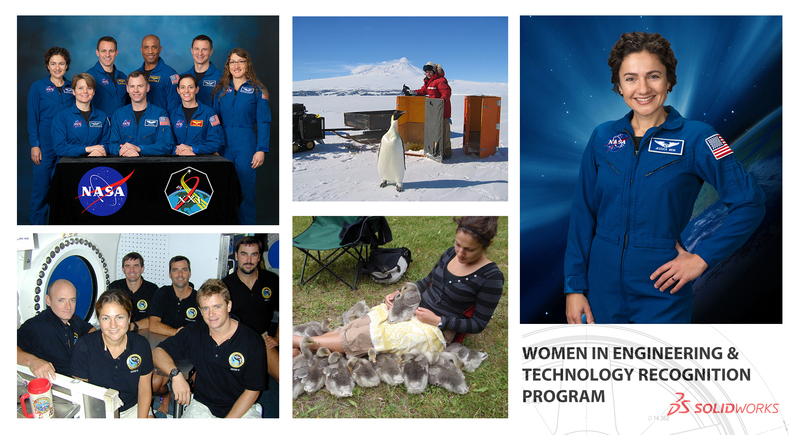 In July of 2015, selected from over 6,000 applicants, she completed her astronaut training to become one of only eight members of NASA Astronaut Group 21. While speaking with Jessica, what impressed me the most was not only her dedication to fulfilling her lifelong dream, but the passion she had for every step she undertook leading up to it. Inspired by grade school science teachers, she pursued her undergraduate degree studying Biology at Brown University, followed by a Master’s of Science in Space Studies from the International Space University in France. Before pursing her Doctorate, Jessica worked for Lockheed Martin’s Human Research Facility at NASA JSC, performing research in Human Physiology. While at NASA the first time, Jessica participated in an underwater expedition, the NASA Extreme Environment Mission Operations (NEEMO) mission. As an Aquanaut, candidates selected to participate in a NEEMO mission spend up to three weeks living undersea. The research station, Aquarius, is located j miles off the coast of Key Largo, and is the only underwater research station of its kind. Combining a love of research and animal physiology, Jessica then began her PhD in Marine Biology at Scripps Institution of Oceanography with a focus in diving physiology. Jessica diving with emperors penguins! Her Doctorate research brought Jessica to Antarctica, working with a small team of scientists to study the wildlife in this frozen environment. As someone who strives to push herself not only mentally, but also physically, she found this to be a truly challenging and rewarding experience. “One day may consist of performing scientific testing, and the next, my team might spend shoveling ourselves out of the snow and repairing snowmobiles” she recalled. 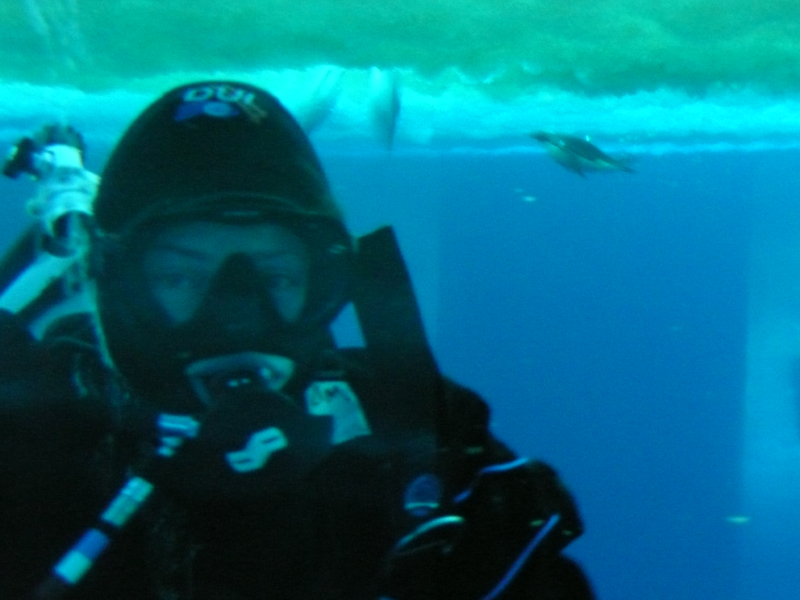 Because Jessica’s studies focused on diving animals, like emperor penguins and elephant seals, part of her research took place below the sea’s ice layer. Her team had to drill and dive through several feet of ice in dry suits to explore beneath the surface! After completing post-doctoral research in British Columbia, Jessica was offered an Assistant Professorship at Harvard Medical School, in conjunction with Massachusetts General Hospital. Here she could continue conducting the research that she loved, studying physiological effects of extreme environments on wildlife. As a finalist in a previous round of astronaut selection in 2009, when the next call for applications came in 2013, despite the fact that she had found a separate profession that she found truly fulfilling, Jessica said that she knew that she had to apply. She remembers sitting at her desk at MGH when Janet Kavandi, a NASA astronaut, called from Houston and said “Hi Jessica, second time’s the charm!”, and she knew that she had made it. So began her move to Houston, and the beginning of her next great adventure. After hearing about all of Jessica’s accomplishments, it is no surprise at all that she was selected! In fact, she seems like the perfect fit. She feels that her Antarctic expeditions, as well as the NEEMO mission prepared her well. When NASA is selecting candidates, they are not simply seeking strong minds, but also those willing and able to physically withstand the unfamiliar conditions in Space. Also important is the ability of teams to get along, and spend a great deal of time in close quarters. Jessica and her class, four men and four women, have grown very close over the last several years. They spend their days training and learning a wide range of skills in preparation for potential space travel, most immediately, for long duration trips to the Space Station. Jessica’s research on animals in low-oxygen and adverse environments seems to be especially relevant to learning more about the human body’s ability to endure periods of time outside of our own atmosphere. She explained that astronauts are exposed to things like micro-gravity and increased radiation, and that every study performed will contribute to better understanding and improving the future of space travel. For someone with such an exceptional background, Jessica was extremely humble and quick to recognize the thousands of NASA employees that are behind the success of U.S. space exploration to date. When I asked about potential trips to Mars or to asteroids, Jessica said that whenever the time does come, she has full faith in NASA’s remarkable team to take on the challenge, and ensure they are fully prepared for the mission. 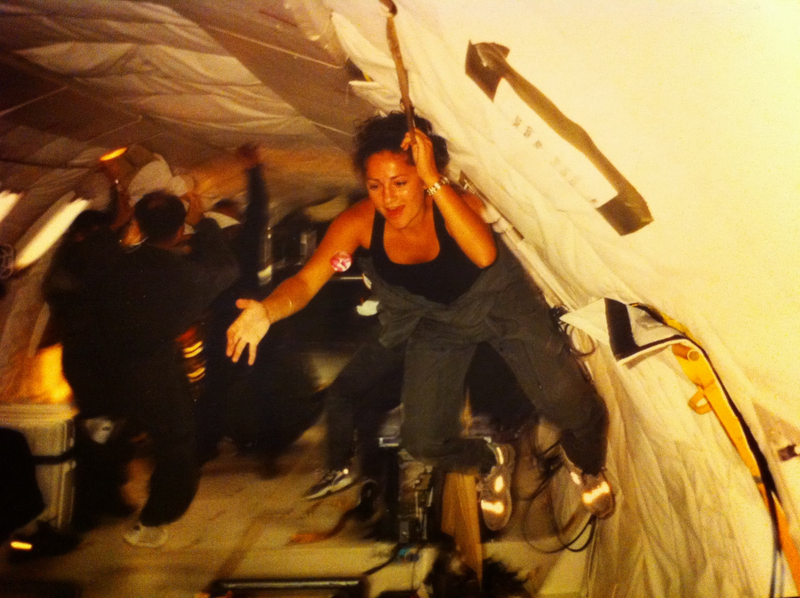 Jessica’s first reduced-gravity aircraft ride. Recent news has focused on the advancements in space travel coming out of the private sector, and Jessica confirmed that she thought this was a great thing. With a limited budget, it’s helpful for NASA to have these commercial partnerships, and the recent press has increased interest in space exploration in general. With the introduction of competition, the advancements are happening at a much faster rate. It was such an honor to be able to take a little of Jessica’s time to learn more about her life as an astronaut, something very few people will experience. We wish her well, and will be excited to see where her next mission brings her!